This ship is no longer operated by Stena Line. 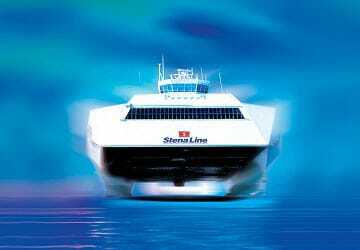 Stena HSS Explorer is among the world's largest catamarans and can carry 1,500 passengers and around 350 cars. 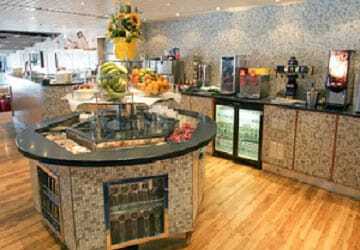 Onboard you’ll find bars, restaurants, impressive shopping a children’s play area and a selection of lounges including the exclusive Stena Plus lounge. 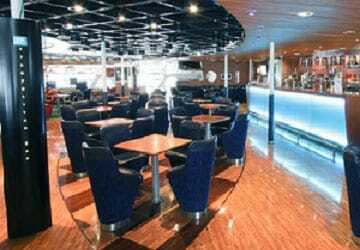 Due to the short journey time there are no cabins available however the Stena Plus lounge on this ship is a 170 seat luxurious lounge at the front of the craft for the best views across the Irish Sea. The Stena Plus option which can be pre-booked includes express boarding and disembarkation, or you may upgrade when onboard if space permits (lounge access only). The Metropolitan Bar is located at the centre of the craft where there is plenty of seating and you can relax and watch the big screen tv while being served a range of continental beers and wines. 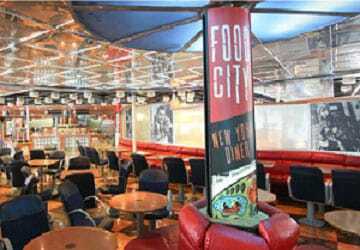 The Food City restaurant is also located in the centre of the craft with ample seating nearby. Food City offers a range of tasty hot food options including fish & chips, steak pie, pasta and a selection of kids meals. 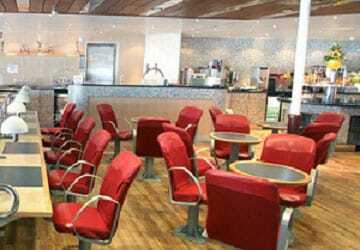 Passengers who travel in the luxurious Stena Plus Lounge can enjoy waiter service and a premium menu which includes a range of speciality dishes and old favourites. 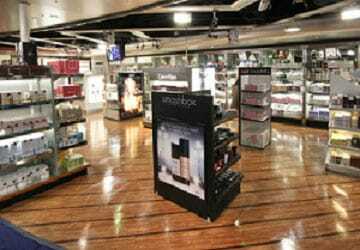 You can shop to your heart's content during the crossing in the Stena shop. 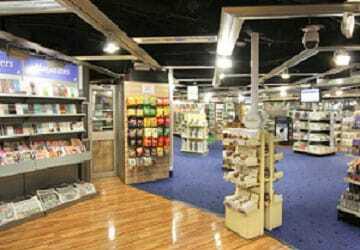 Here you will find something for everyone; from lovely perfumes for women and men to Irish whiskeys and other liquors. 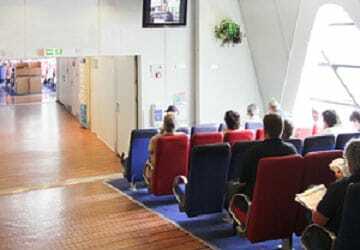 Television screens are dotted throughout the ship for your viewing pleasure. There's a Bureau de Change, free wifi and a video game arcade. 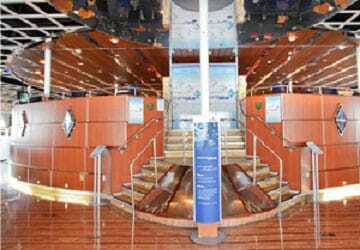 There is also an observation area at the front of the ship. 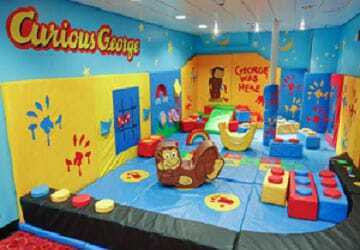 Curious George™ themed play area provides a safe and fun environment for children showing the popular “George” DVDs. There are bead trees, memory blocks, colouring stations and chalk boards to keep kids occupied! And for parents peace of mind there is a seating area close by to relax and keep an eye on the little ones. 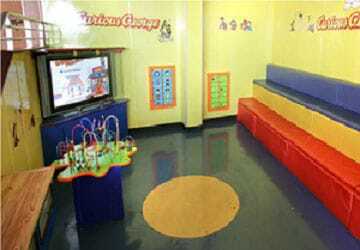 Older children and can play fun video games in the games and video arcade. Please Note: Whilst we have taken great care in making our Stena HSS Explorer guide as accurate as possible, onboard facilities, services and entertainment may vary depending on the date and time of year that you travel, facilities mentioned may change without notification and ferry companies reserve the right to operate vessels other than those mentioned at time of booking without prior notification. This was a great trip, we went on an upgrade it was well worth it from the fast track boarding to the peaceful lounge with a great meal. The staff were excellent making it a great start to our holiday. "Crossing on 23/12/14 at 0820 Holyhead to Dublin"
An excellent way to travel to Dublin as it lands you outside the busy town center. On both my journeys the sea was calm so the run was very comfortable in spite of the relatively high speed. 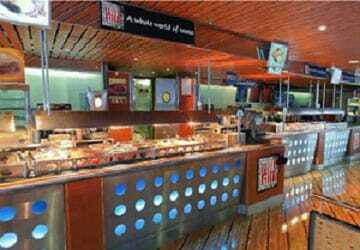 If you want to eat there are several alternatives on board. "Ireland journey with the friend for a very good experience "
Ireland journey with the friend for a very good experience. Stena was a good helper for my 1st Ireland journey. I booted easy by my smart phone on Stena and www.directferries.co.uk. Recently did the crossing from Dublin to Holyhead. Very smooth passage despite some inclement weather. 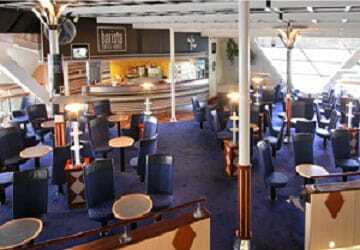 Staff were courteous and efficient and the ship was very clean and tidy. Wifi worked for my wife's i-phone but strangely not for my ASUS tablet. This was our first family trip on a ferry, I did not know what to expect but kept my expectations low. I was also worried about sea sickness so gave the whole family tablets, the funny thing is we hadn't realised the ferry had set sail until we were 10 minutes into the journey - no sickness! There was lots to keep us entertained on the ferry, a children's entertainer came round and handed out sheets for the children and told us where the entertainment was (a larger space would be advisable, there wasn't enough room for my children). There was a kids movie shown by ways. There was ample space to sit, the food on offer was good and we purchased some items from the shop. There were also separate arcades for adults and children. Great service, friendly staff, we thoroughly enjoyed our journey, it even left earlier than scheduled! We look forward to our next trip on Stena Line. It was more than 4 years since we use ferry to cross,for lacking time.We enjoyed and the boat still very good. Excellent trip. No complaints whatsoever. "trip 26th july 2014 to dun laoghaire from holyhead and return"
Paid the extra for guaranteed seats. On the ferry first and off first. Newspapers free snacks free drinks free. Well worth the extra money. Waitress service for meals you order and pay for. Absolutely loved it and wouldn't ferry travel now any other way. Went to Ireland, for a short break with friends, and used Stenna Line for the first time. Very pleasantly surprised at the ease and comfort of the whole operation. Will definitely use this type of crossing again. Fast, efficient, comfortable and punctual. We had a lovely trip with Stenna and staff were very helpfull crossing was very smooth and we enjoyed our little shopping spree on board. "Ferry from Holyhead to Dublin"
The experience was very nice. The Ferry was way better than what we were expecting. My family and I were very pleased. Thank you!!!! We sailed from Holyhead on the 10.30 HSS service on the 11th June and returned on the 19th June on the 13.30 HSS service. I have travelled frequently between the UK and Eire over the last 25 years but this was the first time on this particular ferry type. First impression was the sheer size of the HSS vessel, dwarfing most of the other boats I have been on. It was a very pleasant surprise to find light refreshments available at the ferry terminal in Holyhead with tea, coffee and snacks served in a pleasant café environment. After a 5 hour drive this was most welcome and to the shame of most ferry operators whose passenger focus does not kick in until the vessel is boarded. The traffic queue onto the vessel was fairly light but I was still quite impressed at the speed of loading. One big benefit I found was that the cars there were loaded onto the top vehicle deck and this meant priority departure as this deck is first to be evacuated on arrival. I noticed that lifts were available between the top vehicle deck and the lounge which should make disabled access easier and allowed mobility scooters to be used on board. 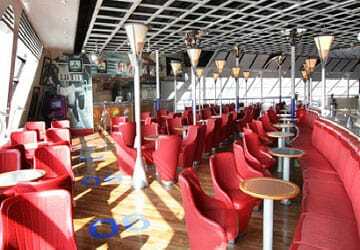 Services on the vessel were good with adequate seating in various lounges and with a good range of refreshments available although I did feel the full breakfast was a little expensive at just shy of £10.00. That is an expensive experience for a family of 4 for example! Cleanliness was good and the debris of the drinks experience (sugar sachets, stirrers and milk pots), were cleared from tables quickly. The actual crossing both ways was smooth and taking around two and a half hours is the fastest of any of the Irish sea / St George's channel, crossings. In addition - because traffic was not heavy, the sailings both ways boarded early and both departed about 15 minutes early. I would guess this is not the norm in peak season but even then I think departures would be prompt and on time. All in all I felt it was a customer oriented service with adequate facilities for all, loading was fast and efficient and on-board service was well provided. Apart from the (perceived) high cost of breakfast I find it difficult to criticise. I do wish though that proper milk was provided for hot drinks instead of those silly little pots of UHT!! "Dun Laoghaire to Holyhead June 2014 South Australian tourists"
A great trip on the Stena HSS Explorer, excellent in all aspects. Friendly check in & boarding with our hire car. Interior of ship very smart, comfortable seats & great views from the rear windows. The seas were super smooth & interesting to watch the docking procedure at Holyhead. Exit from ship easy & on our way in only minutes after docking. Did not use the catering facilities but from observation it all looked v good. Toilet facilities also good. Our first crossing to Ireland. The whole proess from booking to disembarking was smooth and trouble free. No complaints at all and would use service again.